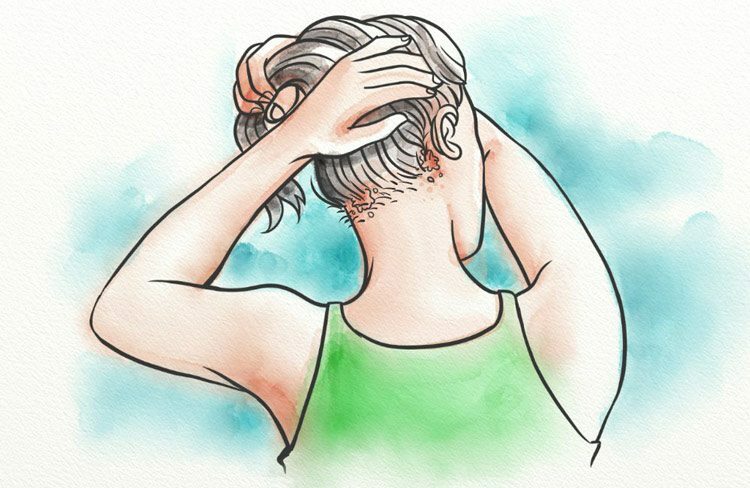 An itchy scalp can be a real pain, especially because it is not easy to find out the exact cause. But if left untreated, the constant scratching and inflammation may trigger an even more noticeable problem: hair loss. In most cases, an itchy scalp is just a symptom of another underlying medical condition that interferes with the normal working condition of the scalp. As such, the best response to itchy scalp hair loss can only be accomplished after prior understanding of the medical conditions that directly affect the scalp. There are many medical conditions and environmental factors that can cause an itchy scalp. Here is an in-depth look at the five most common. Pityriasis capitis, more commonly known as dandruff, is a chronic inflammatory malady that manifests as itchy patches on the scalp that result in white or grey flaking. The condition exhibits symptoms that are similar to those of a closely related disease known as seborrheic dermatitis (1). However, while seborrheic dermatitis may affect other parts of the body including the face and the neck, dandruff exclusively attacks the scalp. According to the National Institute of Health (2), dandruff has a worldwide prevalence rate of between 2% and 5%. It affects both sexes, though it’s more prevalent in men and usually sets in after puberty. In infants, the disease is known as cradle cap. Strong scientific evidence suggests that the disease is caused by a species of yeast known as Malassezia, which normally lives in the skin (3). The disease responds to antifungal medications very strongly, a fact that supports the argument that yeast is a causal agent. Physicians usually carry out a scalp biopsy, where a small part of the scalp skin is removed and examined under a high resolution microscope. If you use a minoxidil product then this can also cause itching, dryness, and dandruff. This is mostly from the alcohol content that most products use as a solvent – and it’s why I recommend alcohol free versions of minoxidil. Dandruff does not directly cause hair loss. It is the intense itching that makes people lose hair. 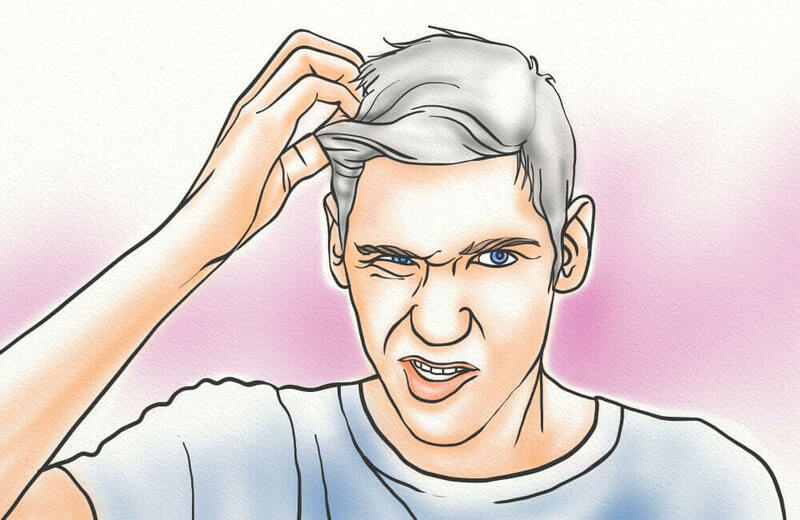 If your scalp feels itchy, you quite naturally tend to scratch it. Constantly rubbing the hair causes the individual hairs to loosen and, eventually, fall out. Dandruff treatment has been the subject of numerous studies aimed at finding the most efficient and reliable product, with most studies concentrating on antifungal products. According to a study published in the International Journal of Cosmetic Science, shampoos containing zinc pyrithione perform significantly better than products without it (4). Other numerous studies also seem to suggest that zinc pyrithione is the go-to chemical. Dermatologists advise people to stop using anti-fungal shampoos as soon as dandruff disappears. If one product does not work for you, try combining two anti-dandruff products. Avoiding products that build up on the scalp producing more flakes and itching. These may include hairsprays and mousses. Incorporate foods that contain zinc into your diet. These may include seafood, meats, pumpkin seeds, and vegetables. You may also want to reduce how often you wash your hair. While a ‘dirty’ scalp can contribute to dandruff, so too can a scalp that is washed too often. This is because hot water and most shampoos will strip the scalp of its natural protective oil – seborrhea. Three times per week is a great place to start. Scalp psoriasis is a chronic scalp disorder that is associated with sharply demarcated lesions with silver-colored scaling on the scalp (7). People with scalp psoriasis often complain of intense irritation that forces them to keep scratching their hair repetitively. 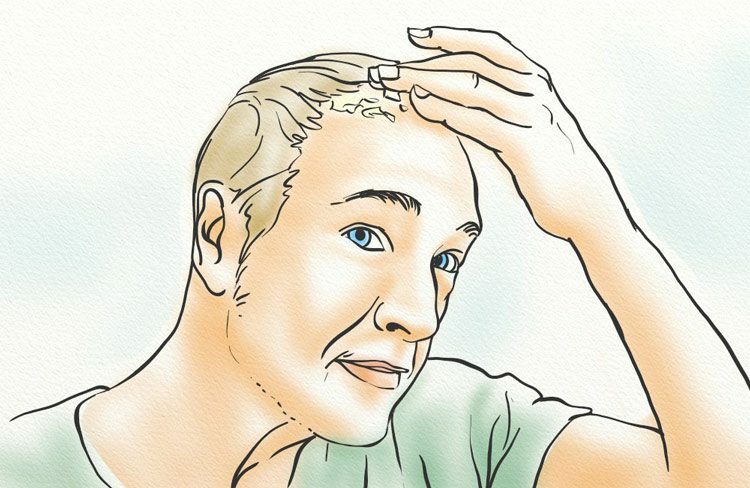 This way, many people with the condition have suffered hair thinning from an uncomfortable scalp. 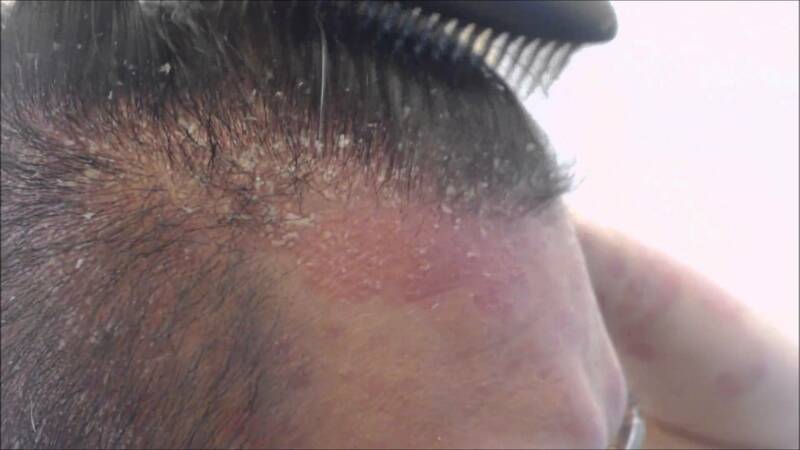 Scalp Psoriasis vs Dandruff: How do You Distinguish Between the Two? It might be difficult to tell the difference between dandruff and scalp psoriasis since both conditions are associated with an irritable scalp. It’s important to learn how to tell one from the other, especially because the treatment for each can be quite different. Dandruff, as we saw earlier, causes the formation of white or greyish flakes on the scalp and that’s where the condition is restricted. Scalp psoriasis, on the other hand, is associated with silver-colored scales that build on the scalp resulting in thick plaques. In extreme cases, red patches appear on the forehead. It is important to note that psoriasis may appear on other areas of the body and not just the scalp. Scalp psoriasis is triggered by a faulty immune response that enables the white blood cells to generate new cells at a very fast rate (8). Normally, the generation of new cells takes time and neither you, nor anyone else, can ever tell when you’re losing dead skin. With a malfunctioning immune system, new cells form in days rather than weeks. The cells pile up on the surface of the scalp resulting in thick flakes. Stress – According to the National Psoriasis Foundation, stress is a major trigger for people with scalp psoriasis and usually causes the condition to flare up for the first time and also worsens the diagnosis. 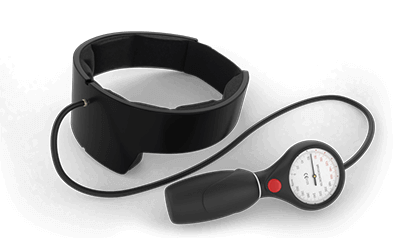 Beta blockers and lithium, used to treat high blood pressure and mental disorders, respectively (10). Dermatologists advise people to switch to other drugs that are not known to increase the risk of scalp psoriasis. Respiratory infections – colds and throat infections may activate the immune system and cause scalp psoriasis to flare (11). Topical treatments are applied to the scalp and are used to treat mild-to-moderate scalp psoriasis. The most prescribed topical medications are corticosteroids as they effectively reduce swelling and redness of lesions (12). Treatments that contain coal tar and salicylic acid are very effective, besides gaining approval by Food and Drug regulatory bodies in most countries (16). Systemic medications are prescribed for individuals with moderate-to-severe scalp psoriasis. Most of them come in the form of pills or liquids. Oral drugs are some of the newest medications being used to treat scalp psoriasis. The main one is Otezla (20). The added advantage that comes with oral drugs is that they can be combined with topical treatments. Wash the hair daily – it can help to remove the flakes. In doing this, avoid using water that is too hot. Apply moisturizer to your hair soon after bathing so as to keep it well oiled. Avoid too much exposure to direct sunlight so as to ensure the scalp doesn’t get too dry. And last but not least, yoga. Yoga sessions can help you relieve anxiety and release stress, which are major risk factors. Lichen planopilaris is an inflammatory condition that results in progressive and permanent hair loss on the scalp (21). It destroys the hair follicle replacing it with scarring. According to public data released by the British Association of Dermatologists, the condition is about five times more common in women than it is in men and mostly attacks Caucasian adults (22). Although the condition is rare, it is a common form of scalp itchiness. Scientists contend that the exact cause of Lichen planopilaris is unknown, but research suggests it may be linked to the immune system (23). The immune system attacks the hair beginning at the base of the hair follicle. The disease is not known to be contagious. No. The condition is not inherited, but research has revealed that there are genes that increase the risk of developing Lichen planopilaris. These genes inhibit the normal functioning of the immune system. A study revealed a close association between the disease and the following genes: HLA DQB1*03 and HLA DRB1*11 (24). There is also overwhelming evidence that suggests an association between hair transplant surgery and the development of Lichen planopilaris (25). Lichen planopilaris leads to redness of the skin around the base of a hair. The hair follicles are blocked by scales that make tiny bumps on the scalp, giving it a rough texture. The disease completely destroys hairs, leaving behind a smooth shiny scalp. In severe cases, facial and body hair may be affected. Frontal fibrosing alopecia (26). This condition usually affects women in their late 40s. It is associated with recession of the frontal hairline, with scarring at the sides of the scalp. This may also be accompanied by loss of body hair and eyebrow hair. Graham little syndrome (27). The condition attacks the hair leaving behind round patches that are very similar to Lichen planopilaris itself. However, pubic and armpit hair is also lost. To confirm the diagnosis, doctors may remove two to three small sections of the scalp skin under local anesthetic. The scalp is then subjected to microscopic analysis. It’s worth noting that the condition cannot be cured. Hair loss is usually permanent and treatment aims to preserve and protect the remaining hair. Treatment may also control symptoms. To date, there is no single proven effective treatment for this disorder. Some patients do not respond to the various medications available while others prefer not to have any treatment at all. We advise you to discuss all the options with your dermatologist before making a decision. Calcineurin creams (29). These creams do not cause thinning of the scalp as seen with tropical steroids. The downside is that patients may experience stinging on initial use. Since 2009, pioglitazone, which is a diabetes drug, has also been used to treat lichen planopilaris effectively (31). Tinea capitis is a cutaneous fungal infection of the scalp and hair (32). The disease attacks the hair shaft and hair follicle leading to total and sometimes permanent obliteration of hair on the scalp. 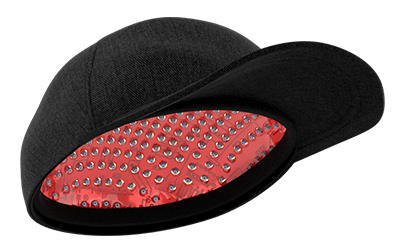 It leaves behind round rings with a ‘black dot’ pattern. Tinea capitis is predominantly seen in pre-pubertal children, especially boys. Neverthless, the disease is also present across other age groups including senior adults. Is Tinea Capitis Caused by Ringworms? No. Although the description suggests the disease is caused by actual ringworms, this is just a scientific term used to describe the condition. The term ‘ringworm’ was first used to describe skin diseases that assumed a ring form, back in the 16th century. Tinea capitis is caused by mold-like fungi called dermatophytes in the Trichophyton and Microsporum genera (33). According to the World Health Organization, Trychophytons now account for more than 90% of cases in Europe and the Americas. Yes. The condition can be spread through physical contact with infected individuals, especially contact with hair (34). Children between the ages of five and 10 are most susceptible to this condition. Tinea capitis can be difficult to distinguish from other scalp conditions, such as psoriasis and dandruff. The diagnosis is based on microscopic examination of the infected scalp. When taking specimens, a blunt scalpel is used to scrap and harvest the affected hairs and broken hair stubs. Alternatively, the scalp can be rubbed gently with a moistened gauze swab, harvesting affected hairs in the process. These are then subjected to microscopy. Positive diagnosis shows the hairs as being invaded by spores or hyphae, allowing treatment to commence immediately. Avoid sharing of hats, towels, combs, and pillowcases. You may also speak with your/your child’s physician or dermatologist for further treatment ideas. Head lice are grey-brown insects that live only on human scalps (36). They range from the size of a pinhead to the size of a sesame seed. They cannot fly or jump around, nor can they burrow into the body. Despite these inabilities, head lice present a major scalp irritation. They feed on human blood, causing a lot of irritation and social disruption. Head lice can attack anyone. You might think that they are attracted by poor hygiene but actually, they are not! They can attack anyone with long or short hair, no matter how clean the hair might be. They are usually very common among school-going children because kids tend to have close physical contact with each other. They also tend to share personal items, giving head lice the opportunity to spread with ease. How Are Head Lice Acquired? Head lice can only be acquired from a fellow human. 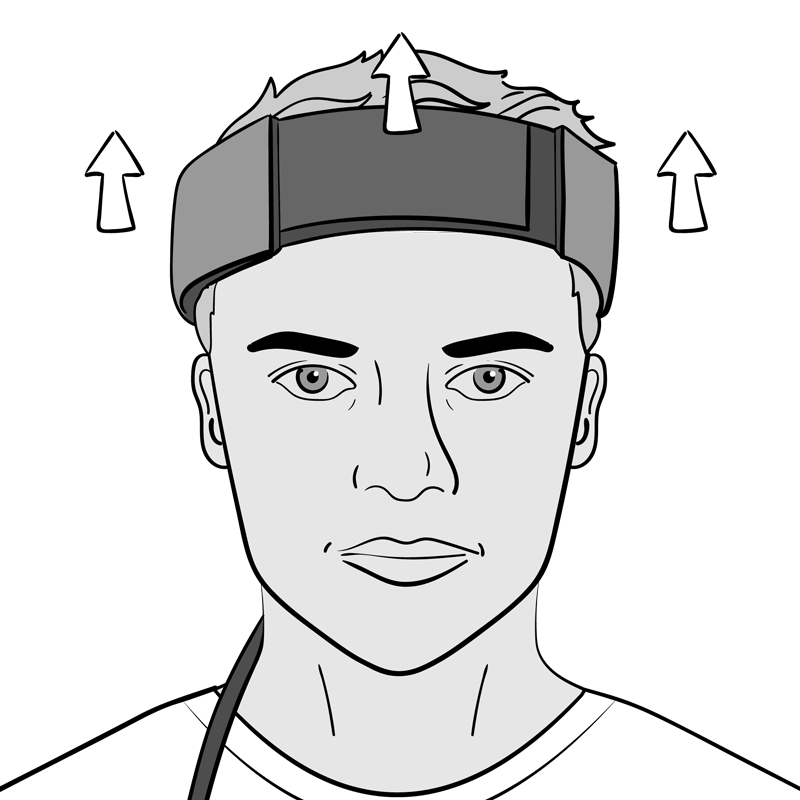 They are spread through head to head contact. Animals do not spread them. In fact, once detached from human hair, head lice will die within 24 hours. 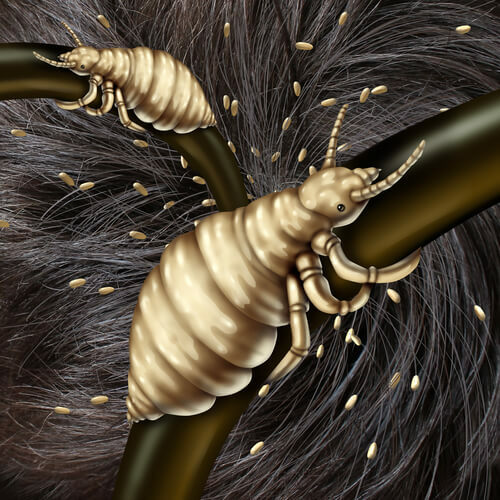 Female lice lay eggs and attach them to the base of hair shafts, near the surface of the scalp (37). The eggs are white or yellowish in color, and hatch after a week. The empty egg cases left will gradually be lifted up and away from the scalp as the hair grows, and might become visible with time. You may also notice lice droppings, which appear as round black specks on pillows or clothing. Treatment is only necessary when an active louse is present. Physicians use a special magnifying glass to look for moving lice and eggs attached to hair shafts. Itching and irritation should not prompt you to seek head lice treatment right away, as the cause could be the other scalp conditions that we have already discussed. Physical removal of lice and their eggs – The lice together with their eggs can be removed by regular daily combing. Combing should go on until no lice have been found for two weeks. The trick is to ensure that all mature lice are eliminated, as well as any unhatched eggs. The process is made easier by using a wet comb or lubricating the hair with a conditioner. Chemical treatment – Chemicals commonly used to kill lice include malathion, permethrin, and phenothrin (38). Physicians usually recommend application of the treatment to all areas of the scalp, including the hairs. The products should be washed off within 12 hours of application. Do keep in mind that head lice become resistant to treatment in the long term so chemicals should only be used when absolutely necessary. You will also need to take precautions to protect family members and other individuals who come into close contact with the infected person. All affected family members should be subjected to treatment at the same time. After treatment, you should conduct weekly checks, for up to a month, to ensure head lice do not re-emerge. Allergic reactions to some chemicals – These may include perms that can contain harsh chemicals, or topical hair loss treatments such as minoxidil. Hormonal changes – They are common in women of child-bearing age and result from reproductive hormones interfering with general body metabolism, including the area around the scalp. Age – The older you get, the drier your skin becomes. This makes the scalp susceptible to cracks resulting to itching. The injured scalp can also be attacked by other skin infections causing hair loss and pain. Folliculitis (39) – An infection of the hair follicles that causes red pimples that are itchy and which may leak pus or blood. Certain medications – These are usually anti-depressants (e.g. wellbutrin) which cause itching of the scalp in some individuals, especially women (40). Exposure to too much direct sunlight – Direct sunlight causes a rough, dry scalp which is susceptible to cracks and attacks by fungal infections. If you’re suffering from any of the above, seek out the help of your physician or see a specialist such as a dermatologist. An uncomfortable scalp is itself not a diagnosis; it’s a symptom. But no matter the cause, it can lead to other issues including hair loss. While each condition has a few distinctive symptoms, it’s still very difficult to know the exact condition that has attacked you at any point in time, without a diagnosis. In addition, each condition has its own treatment and therefore, you should seek advice from a dermatologist before making a decision regarding your hair. Do you have questions about the information above? Leave them in the comments below. Personally as my hair loss has gotten worse my scalp has become more itchy. It’s hard to tell if there’s a cause effect relationship but IMHO if your scalp is irritated and inflamed it’s only going to make your hair loss worse. Exactly right Matt, scalp help and hair health are intimately connected. I need something to control and nourish my scalp & make my hair grow, it itches badly & I don’t know what to do. Hi Clara, I recommend to stop using any kind of shampoo and just use apple cider vinegar twice per week. Also, you need to check your diet and remove anything that could irritate your skin. Go for natural, real foods where possible and avoid yeast, gluten and processed sugar where possible. You can also try a homemade soothing hair mask.